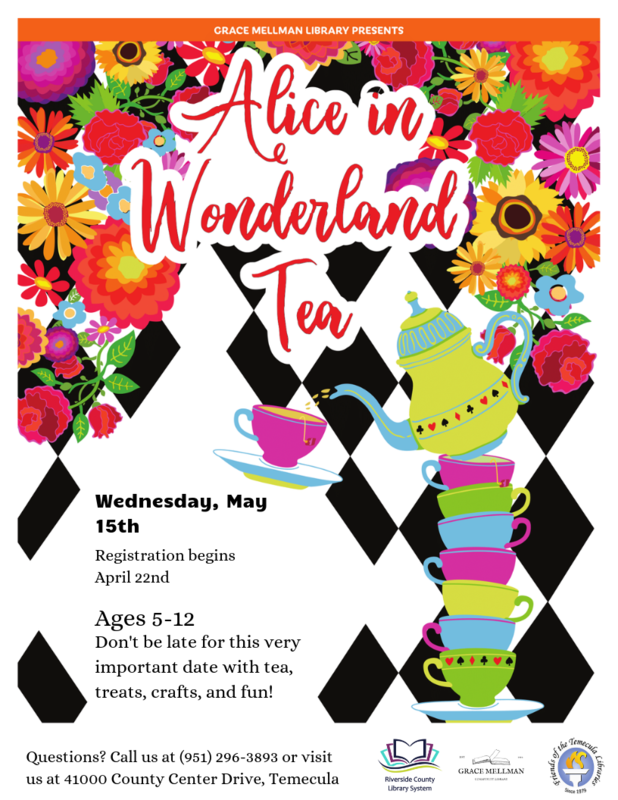 Don't be late for this very important date for tea, treats, crafts, and fun! *Space is limited, registration is required. Registration starts on Monday April 22nd, call us at (951)296-3893 or visit us at 41000 County Center Drive, Temecula to reserve your spot.